Great time this morning with Little Jo at Apple Seeds! She kept herself very busy at the mini market, playing with balls, going up and down the slide, driving the NYC taxi cab and exploring the bright and happy surrounding. Years back, we used to have some fun afternoons with Luella at this well designed indoor playground. Happy to be back, this time with Little Jo for more fun and play. 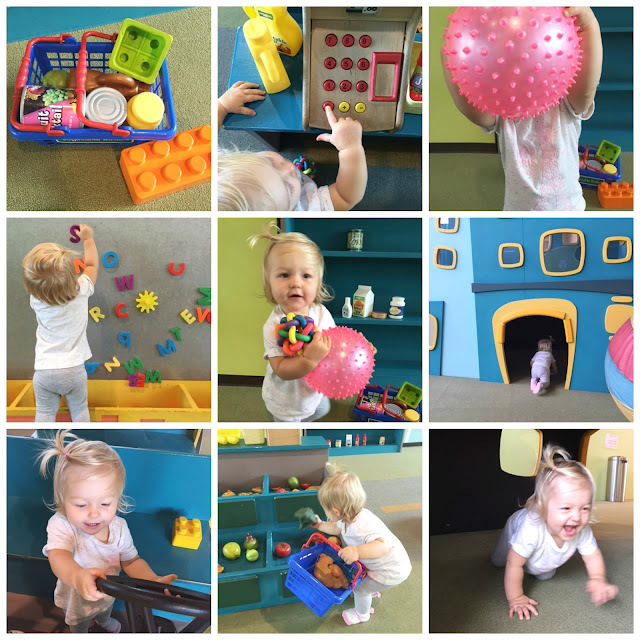 It's a great place for toddlers to explore, climb, crawl, roll, play and mamas to hang out. Check out the membership option, the day pass and all the fun educational classes available.